By Costa Maragos Posted: April 6, 2018 2:00 p.m.
A buffalo hide is tightly stretched on a wooden rack at the bronze casting foundry in the Visual Arts Department's sculpture studio. Joely BigEagle-Kequahtooway uses a dry scraper to peel away at the hide, which stretches about twice her height. BigEagle-Kequahtooway, with assistance from her husband Lorne, scrapes off the dry pieces of buffalo skin. The goal is to ensure a smooth surface and turn the hide into a canvas for painting. The hide, shown above, must be scraped for hours to ensure a smooth surface. Curious visitors, many who are students, are encouraged to join in on this centuries-old Indigenous process. BigEagle-Kequahtooway proposed this project when she successfully applied to be the University’s Michele Sereda Artist-in-Resident. Her project, Bringing Back the Buffalo, will be featured at the 2018 Congress of the Humanities and Social Sciences, the theme of which is “Gathering diversities” held at the University May 26 to June 1. The scraping is just one part of the process, which was completed a few weeks ago. BigEagle-Kequahtooway has been waiting for the weather to warm up slightly to allow her to take the buffalo hide outdoors for part two of this project starting April 9. A tipi, set up next to the kiln at the Academic Green, will house the hide for the next stage of the project. – the softening and tanning of the hide that is sure to attract a number of curious onlookers. In keeping with tradition, BigEagle-Keguahtooway will dip into a container of buffalo brain. “No chemicals. It’s all water and brains,” she says. 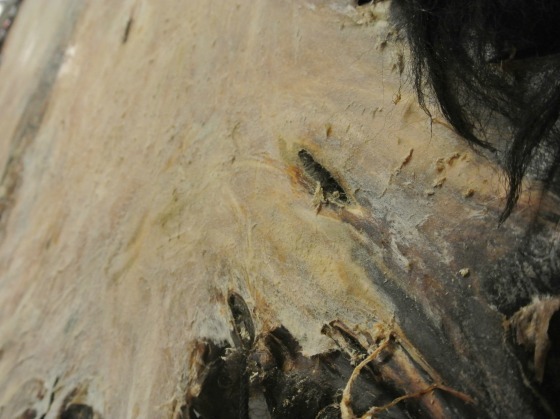 The mushed-up brain, delivered from a bison ranch in Saskatchewan, will be worked into the hide by hand. Visitors are encouraged to take part. From there, the hide will be smoked and tanned over hot coals set up inside the tipi. “We will smoke the canvas to give it a brown colour, and that will be the canvas. Then it will be ready to be painted,” she says. BigEagle-Kequahtooway describes herself as a multi-genre artist. She’s a writer, fashion designer, visual artist and traditional Indigenous art creator, using buffalo as her choice of medium and inspiration. “My intention in creating is to honour First Nations artistic design and acknowledge the importance of buffalo in First Nations culture,” she says. BigEagle-Kequahtooway is familiar with the U of R campus community. In 1995, she earned a Bachelor of Science degree, with a major in mathematics, at the Saskatchewan Indian Federated College (now First Nations University) at the U of R.
In 2004, she earned a Bachelor of Science Degree in Civil Engineering at the University of Calgary. She worked in Regina at SaskEnergy and Stantec, an engineering firm. BigEagle-Kequahtooway is very active in the community. She’s co-founder of the Buffalo People Art Institute in Regina, which has hosted buffalo hide tanning workshops in various locations around the province including First Nations University of Canada, in partnership with the University of Regina. She has served on a number of boards including Regina’s Conexus Arts Centre, the Globe Theatre, and the North Central Community Association. 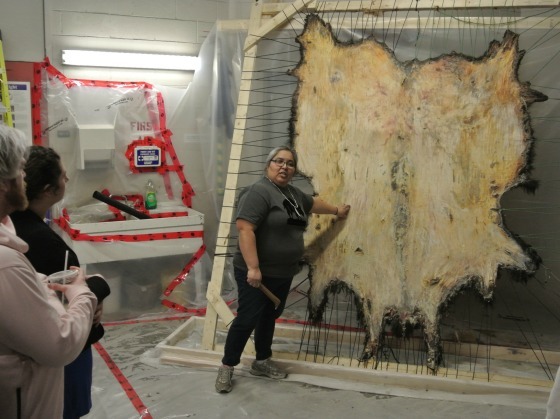 But, BigEagle-Kequahtooway is seemingly drawn back to the world of art which also takes us back to her buffalo hide project at the U of R.
Once the tanning process is completed, she will bring the canvas indoors to a high-traffic area of the Education Building. As for the painting, BigEagle-Kequahtooway is open to ideas. “I have an idea. I have a vision. But part of this whole process is listening to people. My design idea will change as I talk to people,” she says. 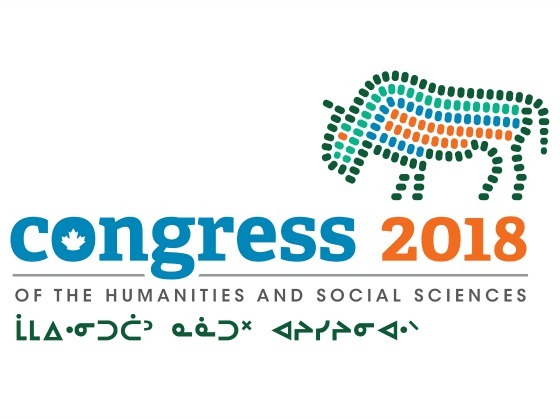 BigEagle-Kequahtooway will present the finished work at Congress 2018, Canada's largest gathering of scholars. The art piece and BigEagle-Kequahtooway’s work will also be the subject of discussion at one of the Congress sessions. The 2018 Michele Sereda Artist-in-Residency is supported by the Faculty of Media, Art, and Performance, the Dr. John Archer Library and the Office of Indigenization. The project has also received financial support from the Congress Committee. “My intention in creating is to honour First Nations artistic design and acknowledge the importance of buffalo in First Nations’ culture,” she says.